PT Pertamina Patra Niaga - PPN or referred to as "Pertamina Patra Niaga" is a reputable downstream oil and gas company in Indonesia under PT Pertamina (Persero). At present, Pertamina Patra Niaga’s shareholders are PT Pertamina (Persero) and PT Pertamina Trans Kontinental. PT Pertamina (Persero), which owns 99.99% of Pertamina Patra Niaga’s issued share capital, is the national oil company of Indonesia wholly-owned by the Government of Indonesia. PT Pertamina Trans Kontinental owns 0.01% of Pertamina Patra Niaga’s issued share capital and is a directly-owned subsidiary of PT Pertamina (Persero). Headquartered in Jakarta, Pertamina Patra Niaga concentrates its business activities in the field of trading, fuel management, bunkering, storage depot, transportation/fleet management, LPG Cylinders, EPC and Operation Maintenance. Pertamina Patra Niaga runs its business through 20 marketing representative offices, and 21 operational representative offices spread in 4 regional offices throughout Indonesia. Pertamina Patra Niaga also supported by 7 subsidiary/affiliate companies, namely PT Patra Trading, PT Patra Badak Arun Solusi, Patra Logistic, Indo Thai Trading, Patra SK, Pertamina Dana Ventura and Patra Jasa. In term of financial performance, PT Pertamina Patra Niaga achieved positive financial performance in 2014. 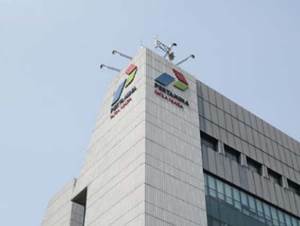 Pertamina Patra Niaga booked total revenue of USD 1,769.39 million in 2014. This figures reflected an 4.47% increased from USD 1,693.68 million in 2013, according to PT Pertamina Patra Niaga in its Annual Report 2014 as cited by JobsCDC.com. Total profit continue to grow by 91.31% to USD 37.02 million from USD 19.35 million in 2013. Minimum S1 Accounting, Management with GPA min. 3.00 within 4.00 scales. Able to work in a team, high initiative, detail and thorough. Able to work under pressure (deadline). Minimum 1 year of experience in the related field, preferably as staff specializing in Finance - General/Cost Accounting or equivalent. Placement at Jl Pemuda Semarang. Strong understanding about taxation (possess certification in Tax Brevet AB). Previous experience in the field of finance. Previous experience in using accounting system. Placement at Jl Raya Gubeng Surabaya. JobsCDC.com now available on android device. Download now on Google Play here. Please be aware of recruitment fraud. The entire stage of this selection process is free of charge. PT Pertamina Patra Niaga - Counter Staff, Finance Staff Pertamina Group August 2016 will never ask for fees or upfront payments for any purposes during the recruitment process such as transportation and accommodation.